President Trump met with Chinese President Xi Jinping as the countries look for ways to ease an escalating trade war. 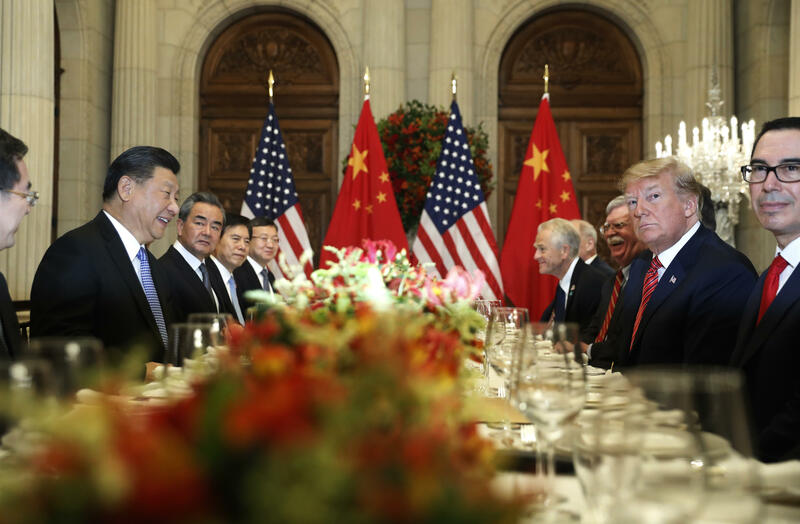 Mr. Trump suggested to reporters before the sit-down that at "some point" it could yield "something that will be good for China and good for the United States." He didn't elaborate. Mr. Trump and Xi spoke Saturday over a dinner meeting that lasted over two and a half hours with no official comment from either country, Reuters news agency reports. Mr. Trump said they would also discuss the opioid crisis. He said he hopes China will criminalize fentanyl, the synthetic form of opioids largely shipped from China.